Do You Want a World Class Cricket Experience with Lasting Results? At The Cricket Academy we want every Player we work with to experience the JOY of playing Cricket to their FULL POTENTIAL and for them to learn the valuable life lessons the game has to offer. We work with players of all abilities from beginners to Professionals and we care for each of them in the same way. As Coaches, we have an incredible opportunity to impact the lives of the players we work with in an unbelievably positive way. Most coaches don’t realize the impact they can have and how long that impact can last. We do, and we want that impact to be life long, we want it to be positive and we want to help every Player we work with learn how to tap into their full potential using Cricket as the tool to do this. There is no greater satisfaction than setting a goal, coming up with a plan, working hard, developing new skills, growing a positive mindset and achieving the goal and we want every Player to experience this satisfaction. The skills and habits we form with the Players we work with are transferable and can be used to achieve success wherever they are applied in life. This is what drives us everyday, it’s the reason why we coach and it’s the reason why we care so much about our clients. 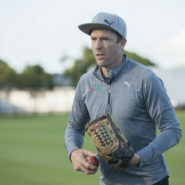 We coach Cricketers to score MORE RUNS and TAKE MORE WICKETS though accelerated improvements in CONFIDENCE, SKILL and TECHNIQUE so they can tap into their FULL POTENTIAL and ELIMINATE SELF DOUBT. We do this using our Our SIMPLE CRICKET approach, developed over 21 years, that combines drills proven to accelerate skills development with powerful mental tools and habits that deliver lasting results for our clients. The habits and thought processes we coach can be used to achieve success, wherever they are applied in life. We cater for players of all abilities, from beginners to professionals, through our range of coaching programmes. We are based at the World Class, Western Province Cricket Club in Cape Town. We have access to four indoor nets, 4 turf nets, four outdoor artificial nets and four cricket ovals, two of which are the most beautiful grounds in Cape Town, and we make use of the latest equipment including live video analysis and a speed gun. We strive for quality in action, through respect, honesty, support, communication and trust, so as to build lasting relationships with our clients. Duis aliquet egestas purus in blandit. Looking For a Fun and Beneficial Holiday Activity?